Megan Traynor travelled to the Sunshine State last month after locals in the South Belfast neighbourhood banded together to raise funds for the holiday to Disney World. Nine-year-old Megan, who is a pupil at Oakwood Primary School and lives in Lavinia Square, suffers from the condition septo-optic dysplasis. In November, we reported how Scoil an Droichead, where Megan’s sister Hannah is a pupil, had begun a fundraising drive to pay for the dream trip after Megan’s mum Leanne was forced to cancel a previous visit after she was made redundant. An amazing £2,600 was raised by various events, including a non-uniform day and sponsored bag pack by the school and a charity quiz night in the Hatfield Bar, meaning the family left for the States on December 8. 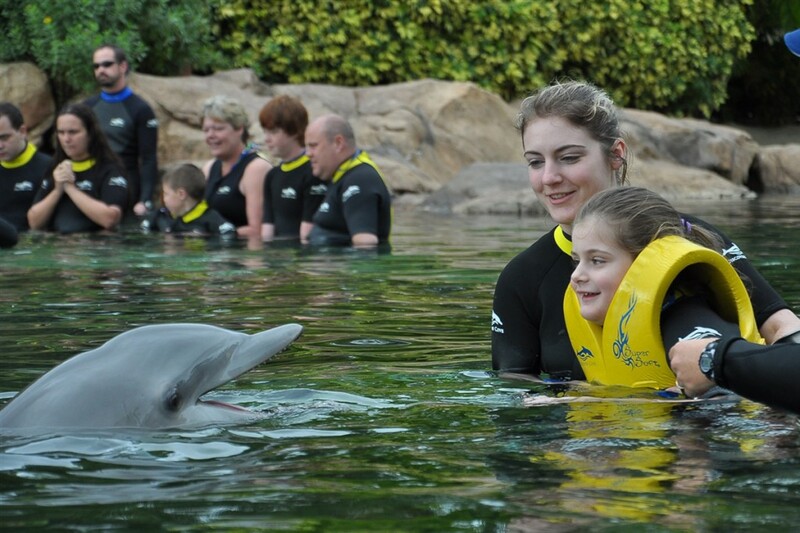 “It was absolutely perfect and a really unbelievable trip,” said mum Leanne. “Megan loved every minute and even discovered a new love of rollercoasters. She went on each one five or six times, much to her daddy’s dismay because he had to accompany her each time. Leanne said the holiday had marked a major change in Megan’s demeanour. “She had such a bad time up until then with everything she had gone through and she was so tired and upset constantly. But from the minute we got over there she was bouncing around with a smile on her face. “It was fantastic being able to enjoy Megan for being Megan. It was all about her and we didn’t have to worry about money or how we would feed her and whatever else. Instead it was all about what can we do now that was fun for her. Leanne said in her “heart of hearts” she never expected to get the money to pay for the trip. “We knew we would need that to pay for everything but I thought we would be lucky if we got £500 or so. When we got to the quiz night, someone told me we had nearly £500 then and I thought we might be able to scrape £1,000. So to make it to £2,600 was unbelievable. “It was so surprising that so close to Christmas people would think of others like this but they took Megan to their hearts and we are forever indebted to them.